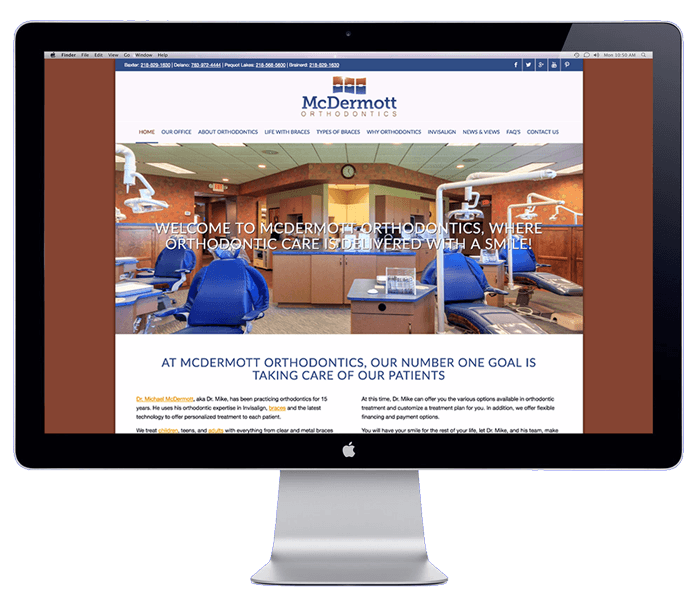 McDermott Orthodontics is a modern, patient focused specialist in orthodontics with offices in Baxter, Delano, Pequot Lakes and Brainerd, MN. To develop a web presence with a modern, clean and ‘on brand’ website that showcases the companies ethos and image online. 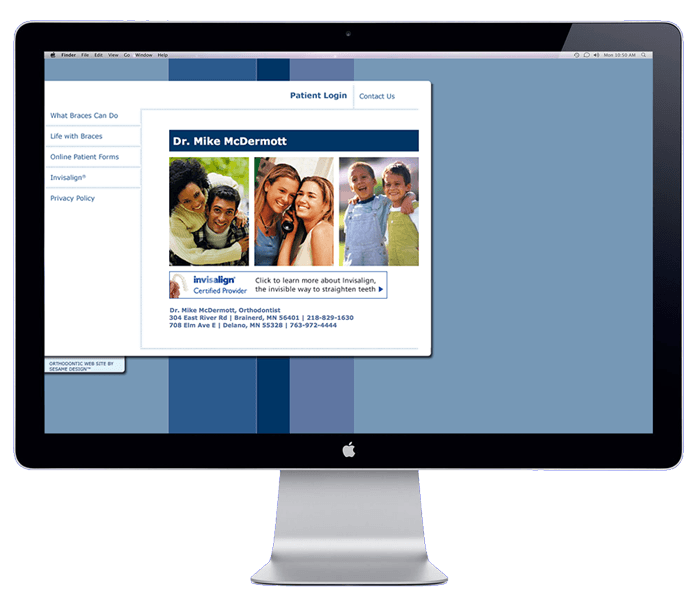 The new site needed to compliment the technical advancements used within office by being cutting edge in terms of SEO and most of all easy to navigate to the most important pages by visitors.